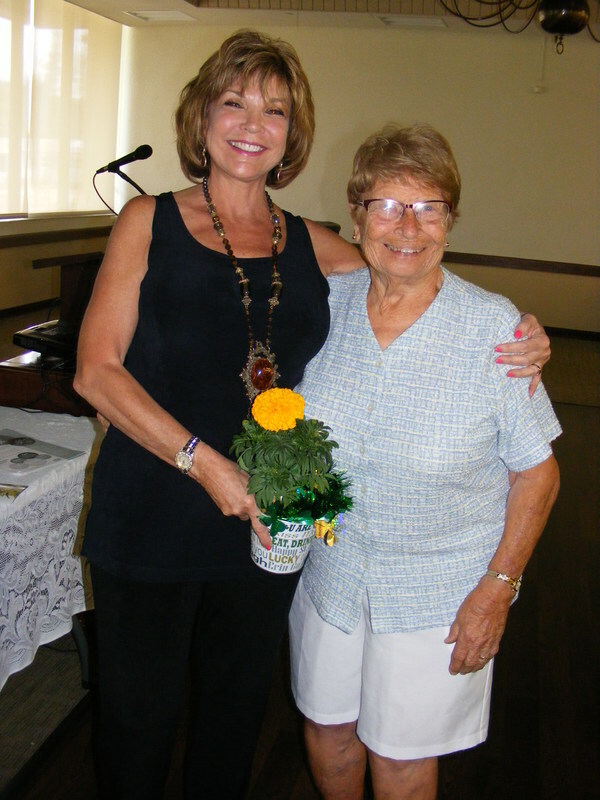 Our March program was set up by our Conservation Chair, Julie Grady and consisted of our guest speaker, NatureScape Broward Outreach’s, Rose Bechard Butman. Rose spoke on many topics that effect our gardens and landscapes; different kinds of environments for plants and trees and also about migratory birds (very interesting). Ms. Butman’s presentation was full of slide pictures and useful information for us all. The presentation was intriguing and I’m sure the members can use a lot of what Rose delivered in her presentation. Rose also provided handouts to help guide us when making decisions of what kinds of plants and trees we use for our gardens, yards and landscapes. All in all, Rose’s presentation was well delivered and very interesting. The member fellowship, along with lunch from the Plantation Diner topped off an enjoyable time at our meeting. NatureScape Coordinator Environmental Planning and Community Resilience Division will be our guest speaker for our March program. As the NatureScape Broward Outreach Coordinator, Rose organizes programs and community projects that support sustainable landscapes and wildlife habitat. Rose is an International Society of Arboriculture (ISA) Certified Arborist, Florida Master Gardener and a National Wildlife Habitat Steward. She serves on the Broward County Extension Overall Advisory Council and the Regional Advisory Council for the University of Florida Institute for Food and Agricultural Sciences, as well as numerous other local boards. Rose was a member of the initial task force for Naturescape Broward and is active in the National Wildlife Federation Flyways Coalition. Her home is registered as a National Wildlife Federation Backyard Wildlife Habitat.